07:12 PM - God's Sovereign Love: Our Comfort Free! 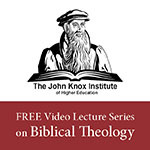 07:11 PM - The Infallibility of Holy Scripture Free! 00:00 AM - Baptists & alcohol: Is the consensus shifting? House Republicans set to kill ENDA?